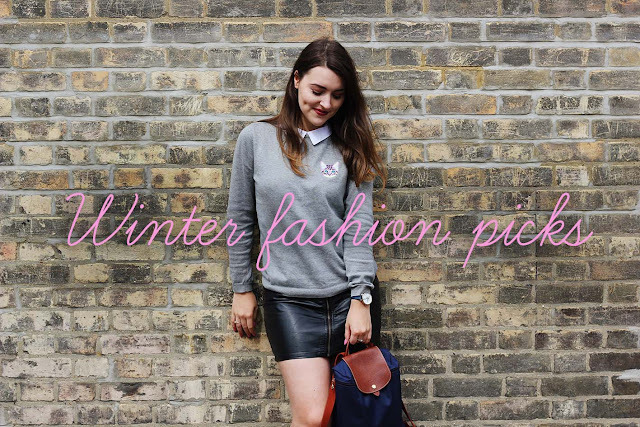 Winter fashion picks from Topshop! It would seem that every time I visit the Topshop website, I find another thing I add to my ever growing wishlist. To make myself feel a little less guilty about wanting to buy everything I thought I would share a lot of the pieces I am lusting after and turn it into a blog post. January seems to be a bit of a difficult month for everyone, we all finally accept Christmas is over, our bank balances are struggling along with our will power to persist with new years resolutions. So perhaps instead of having a mid month splurge, I thought I'd put this list together of a few of my favourite picks from the shop to make things a little easier. I love the variety that Topshop has at the moment as a few months ago I struggling to find anything I'd like at all. I'm obsessed with the puffa jacket after trying it on in store and haven't stopped thinking about it since. These navy blue (or leopard print) shoes are also rather special and I think they'd look great on everyone! I'd love to know which of the below has caught your eye, or if there's something else you think I'd like. Having difficulties seeing my picks? Turn off your Google ad blocker, it likes to block these helpful widgets.